You've preordered some new Blu-rays and you can't wait for them to arrive. We know the feeling - the anticipation can be downright difficult to handle. But just the Blu-rays isn't enough for you. You want more. You want collectables, clothing, knick knacks and stuff that's just plain weird. And you want it now! When I think of 'Nightmare Before Christmas' my mind goes straight to the incredibly cool soundtrack. Well, to be completely honest, my first thoughts are headbutting everyone who refers to it as a Tim Burton movie - it was directed by Henry Selick! Still, the soundtrack is absolutely fantastic. The tribute album 'Nightmare Revisited' may be even better. If for nothing else, you need to pick this up for Marilyn Manson's version of "This is Halloween" and the brilliant job that The Polyphonic Spree did with "The Town Meeting Song." We've started with a pair of cult classics, but while it's fairly easy to pick up as much 'Nightmare Before Christmas' themed clothing as you could ever want with one quick stop at Hot Topic, The Big Lebowski didn't get the same treatment. 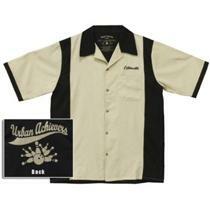 Still, with this Little Lebowski Urban Achievers bowling shirt you can double up a bit on movie references while not being too obvious. The effect is pretty subtle and very cool. Some movies are remembered by a single line that ties the whole thing together or just represents an iconic moment. "I am your father," "Here's looking at you kid," and "Frankly my dear, I don't give a damn," are among them, but 'Good Will Hunting' doesn't have anything even close to as cool. Instead, folks remember "How do you like them apples?" It's a shame, but if you're a fan the best thing you can do is embrace it and enjoy some gourmet chocolate covered caramel apples. How do you like them apples? Probably pretty well - they look delicious. Alright, so chances are you're not going to be frozen and then reawakened in the future to fight a blond Wesley Snipes, but there's always the chance that you'll be delivering pizza and get frozen on accident or even just fall through a rift in space time. Point is, you're going to need to be prepared. Avoid the embarrassment of having to ask about the shells on the first day and revealing yourself to be a total noob by bringing some travel toilet paper along with you. Keep it with you at all times - you never know when you might end up. Ahh 'Wayne's World.' It's the film that helped to define a generation. Wait, define isn't the right word. Entertain maybe. Anyway, it's a great flick and despite a few silly things they let slip in there - why is Cassandra amazed by a whammy bar? - the movie is amazing. So hey, you want to celebrate the release of 'Wayne's World?' Get yourself a gun rack, regardless of whether or not you own a gun, let alone many guns that would necessitate an entire rack.